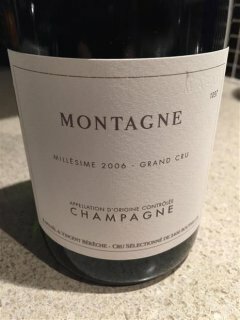 2006 Raphaël & Vincent Bérêche Champagne Montagne Grand Cru - $89.99: Vins Rare, The finest selection of rare wines. Grand Cru fruit from Terroirs of Mailly and Verzy. Only 2400 bottles produced.